Behind the glowing windows and under the street lights of every town, lonely bodies of teenagers, young adults, parents and the old live unaware of each other. That is until tonight, when Lucy will leave Marianne holding the baby, Justin will receive a visit from the police, Mercedes will be cornered by a strange man, and Sian and Toby will finally spend their first night together. One night when each will realise sometimes we all need somebody, nobody, everybody, anybody. 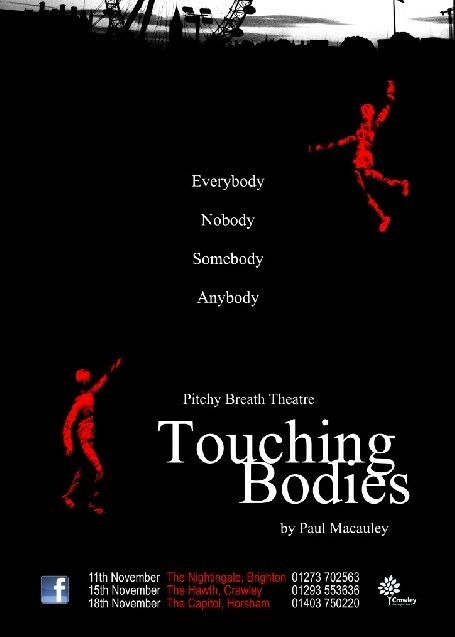 Touching Bodies was first peformed at the Nightingale Theatre, Brighton in 2012.